Home The Weekly Audiobookworm Monday Discoveries 🔎 Monday Discovery: Unlimited Audiobooks Are Back! 🔎 Monday Discovery: Unlimited Audiobooks Are Back! This discovery is H-U-G-E and will undoubtedly be a game changer for audiobook lovers everywhere over the next two months! Scribd recently announced that they are temporarily reinstating their unlimited audiobook listening program until September 30, 2016. Scribd members will have unlimited access to 5,000+ audiobooks for the next two months. Last year, Scribd switched over to a credit-system, similar to the one employed by Audible.com, allowing each member one audiobook credit per month. But Scribd still differs from Audible in a couple of significant ways. Besides being a good deal lighter on your wallet than Audible, Scribd’s $8.99 monthly membership fee also entitles you to three eBook credits each month. Another regular bonus is the rotating selection of audiobooks available for listening without the use of a credit. Scribd calls these “Scribd Selects” and does not limit the number of Selects that can be listened to each month. 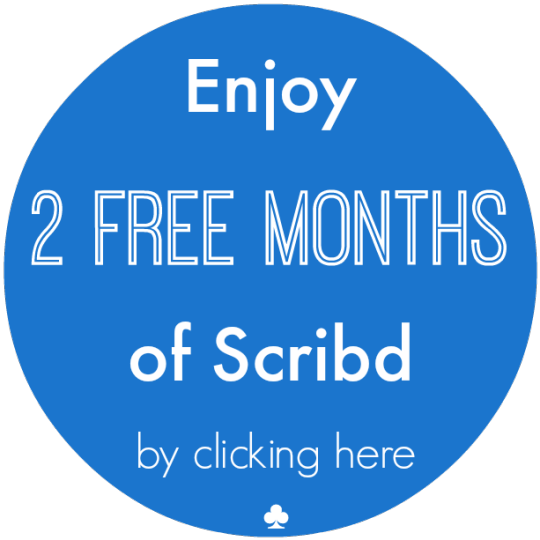 Combining those perks with this incredible announcement means that now is the perfect time to jump aboard the Scribd bandwagon. Scribd still offers its standard 14-day free trial, but you can make the most of this temporary unlimited listening opportunity by signing up through The Audiobookworm for an additional two-month free trial of Scribd. Let’s breakdown the benefits. I took your free trial offer and showed it to two of my friends as well. Thanks! Have fun with all of those unlimited audiobooks! That is awesome! Do you happen to know if the audiobooks expire? I’d hate to download a bunch and then not be able to listen to them if I don’t get around to it within 30 or 60 days. That’s a good question, Beth! I imagine they do expire on 9/30, but I don’t know for sure. I’ll see what I can dig up!